Magnus brings Ale to a party and a ope of earthquake breaks out, indicating that the leylines have been disrupted since many of the supernatural people in attendance lose control of their magic. The following morning, a warlock leader named Lorenzo visiting Magnus to accuse him of corrupting the leyline underneath his home. Lorenzo suspects that Asmodeus, a user of dark magic that was banished to Edom, is the one whose magic was involved. Lorenzo believes that Magnus used Asmodeus' magic to do this. Alec overhears the conversation from the bathroom. When they talk about it after Lorenzo leaves, Alec is surprised to learn that Asmodeus is Magnus' father. They decide to work together to track Asmodeus down. Jace asks Clary out for their first proper date but he feels nervous about trying to make it good for her. He even calls Simon for tips on what restaurant to take her to. But since Jace forgets to make a reservation, the only way they can be seated is to be seated at a communal table, coincidentally next to Simon and Maia who are out on a date of their own. Though the foursome try to make the best of an awkward situation, the good vibes are squashed when it's accidentally revealed that Jace and Maia once slept together. Luke consults with Isabel about the cases that have popped up recently in which good people inexplicably turn bad. They all seem to be supernaturals connected but they have yet to figure out what is causing their violent tendencies to manifest. While Luke and Isabel work on their investigation, he advises her to find time for herself to fall in love. Alec visits Lorenzo and sneaks Magnus in so he can secretly work to trace the magic that was used to corrupt the ley line beneath Lorenzo's home. Lorenzo rushes back downstairs when he hears a crash caused by Magnus getting thrown into a wall. Magnus is able to hide from Lorenzo catching him but he later tells Alec that the magic he traced was from Edom but it's not his father. It's something much worse and more evil than that. After the awkward double-date, both Jace and Clary and Simon and Maia reaffirm their feelings for one another. Maia assures Simon that she doesn't want to be with anyone but him and he doesn't resent her for sleeping with Jace before they were together. Jace tells Clary that the only reason why he gets nervous in his approach to dating her is because of the depth of his feelings for her and not wanting to ruin what they have. Alec brings the issue of the leylines to the Institute and declares that they must solve this problem or else everyone in the city is artist. The first step is to evacuate all the Institute so they can use the angelic core to flood the leylines with angelic energy. Since the Institute isn't built on any leylines, Magnus will need to use his magic to divert it the energy from the core to the leylines. But if something goes wrong, there is a risk of the Institute being blown up. 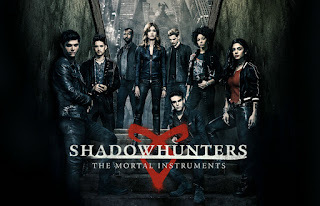 When Alec and Magnus try to put their plan into action, they struggle to complete it because one of the other Shadowhunters Raj has locked Magnus out of the system. This forces Alec to release the valve manually. The angelic energy is released and the ritual that Jonathan's mother was trying to perform is disrupted though her altar is unharmed. Alec and Magnus know that the threat that disrupted the leylines is still out there and needs to be stopped. Magnus says he hopes that Alec doesn't judge him for who his father is and Alec assures him that he still loves him. Jace has another nightmare of killing Clary. He goes to meet with Isabel who asks for his help identifying a demon from footage of it possessing an innocent on the streets. Some werewolves that disapprove of Simon dating Maia try to force him out of the boathouse where he's been living and are intent on killing him if he puts up a fight. When one of the wolves tries to attack him with a bat, a blast of energy shoots out of Simon and sends the wolf flying back. The mark the Seelie Queen gave Simon is shown to start glowing blue when this happens before returning to normal. Maia walks up in time to witness the entire incident. 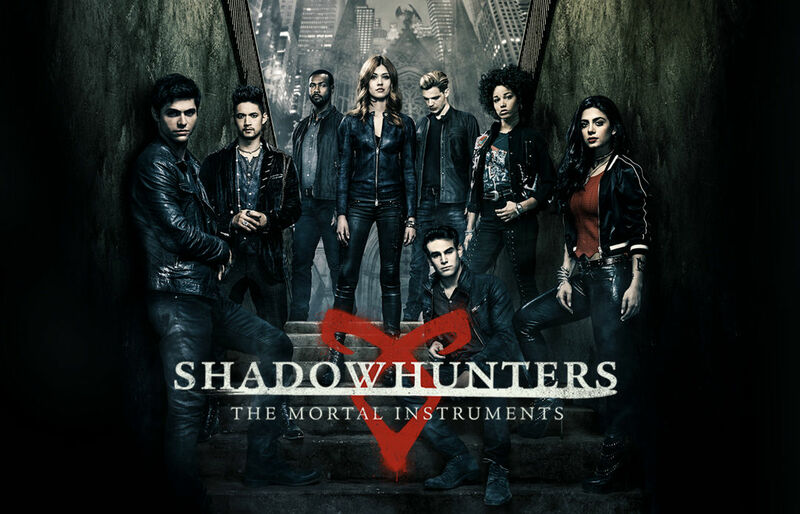 Shadowhunters airs on Tuesdays on Freeform at 8/7c.